It may be that you cannot answer our questions because you have yet to acknowledge such a deep knowingness of the constant presence of the Creator within and around you. You may have glimpsed that which we speak of, and yet we are speaking of a knowingness that is so abundant,all consuming and eternal. Such a knowingness of the constant presence of the Creator cannot be shaken or damaged, it can only be hidden from view. When something is hidden from view it is often labelled an illusion which can be a belief, perception, perspective or observation. When, we the Celestial Dolphins, awaken your divine innocence we are encouraging you to recognise the zest, vigour and life of your existence. This can truly manifest and be embodied when you allow yourself to fully realise the constant nature and presence of the Creator within and around you. Many wish to develop their trust in themselves and the Creator and yet do not know how.Instead they focus upon their lack of trust and the myriad of ways it manifests in their realities. 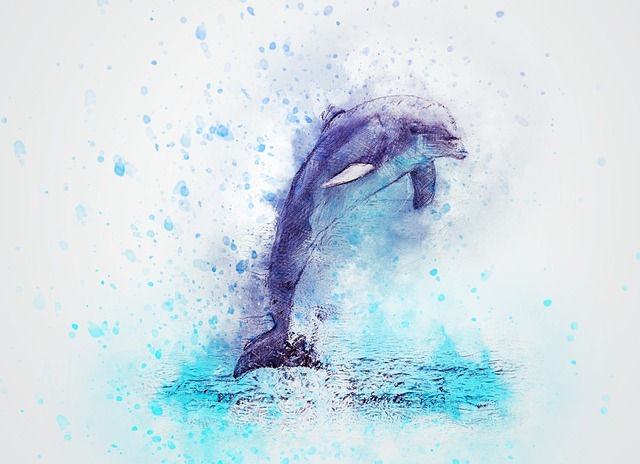 To access a trust that is real and truthful, we the Celestial Dolphins, wish to share with you a practice which uses our energies to serve you. · Firstfeel, sense or acknowledge your current relationship with the Creator, how much you believe the Creator is constantly and eternally present with you. Be honest with yourself. · Call upon us the Celestial Dolphins to enter into your heart chakra and higher heart chakra weaving our energy throughout these chakras and into your entire being. Feel our energy and presence moving into your sacred heart space, simply allow us the freedom to work with you as you focus upon relaxing your sacred heart space and letting go of any blockages or wounds that may be present. You will feel our energy moving through your sacred heart space as it becomes lighter with greater freedom. We are cleansing your sacred heart space, quickening and raising the vibration present in order to draw the energy, light and consciousness of your innocence from your soul into your sacred heart space on a greater scale than experienced in this lifetime. · When you feel the energy of innocence building within your sacred heart space, which can also be felt as purity, trust, love or truth, allow yourself to begin to repeat silently with meaning and intent, ‘I constantly realise and acknowledge the innocence of my soul.’ Allow yourself to imagine you align with, embody and become the intention and meaning of the statement. · Let the energy of your inner innocence flow throughout your being like a healing, uplifting and awakening tonic. In doing so allow the energy of your inner innocence to ignite your realisation of the life, vigour, energy, zest and fun of your being and the Universe of the Creator. It is in the energy of life itself, the rhythm, vibration, sound and light of life, that you will discover the trust that has been present within your being eternally. A trust that is unbreakable and indestructible, which creates a constant and eternal bond with the Creator and a knowingness of the everlasting support of the Creator. Imagine you acknowledge the presence of life flowing through you. We, the Celestial Dolphins, will assist you with this realisation and awareness. · ‘I allow the strength, power and vigour of trust to move throughout every level of my being permanently.’ Allow yourself to repeat this statement as you imagine trust as a source of power emerging from and through your being. · Let your inner power of trust lift you up as if the ocean of trust within you is carrying you higher and higher, leaving behind judgments, blockages and illusions and delivering you to and awakening within you the realisation of the constant presence of the Creator within and around you. We, the Celestial Dolphins, will support you in your unique experience to you, simply allow yourself to receive.